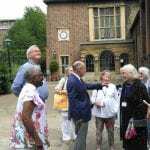 A visit in July to Charterhouse was much enjoyed. 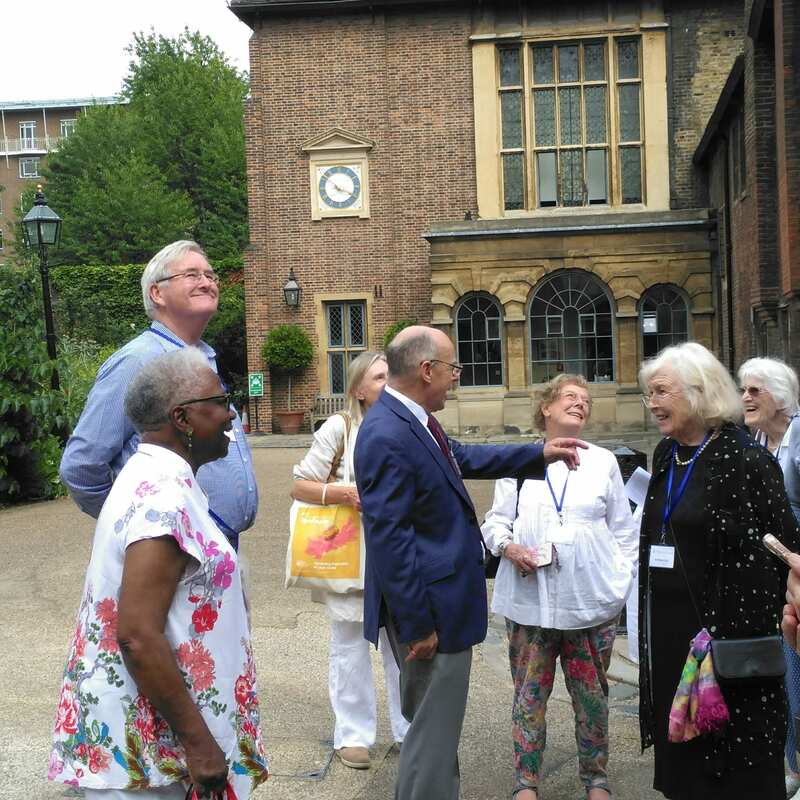 With its fascinating history going back to the 14th Century there was much to see and, of course, we had a very good guide whom some of us had met at the ROSL Afternoon Tea. The Charterhouse dates to 14th century when it was built as a priory for Carthusian monks. It was largely destroyed in 1537 but rebuilt as a courtyard house less than ten years later. It was further enlarged in 1611 when it became an almshouse and school. The school moved out in 1872 but the almshouse (a home for gentlemen pensioners, known as Brothers) remains. 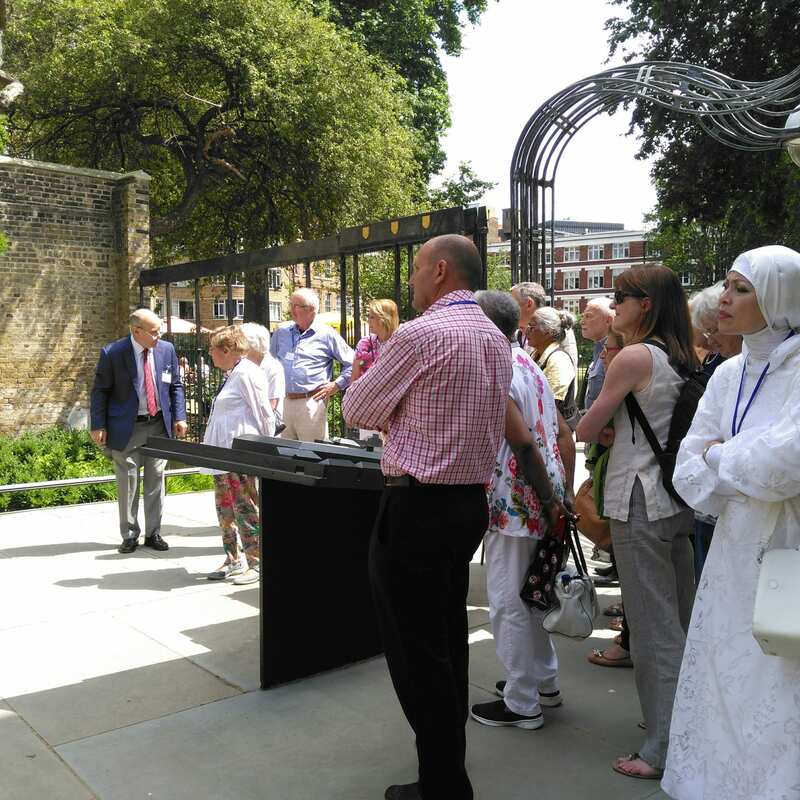 One of the Brothers conducted the tour.